Our adventure was inspired by folks we met while backpacking Guatemala in 2007. Since then we have learned there is an amazing amount of people young, old, families, with pets (bunnies and dogs) following their dreams and driving around the world or even just a few weeks… we have decided to post a few of them here on our site. There is an insane amount of people out there traveling and in fact we have no less then 50 blogs in my browser bookmarks… we will not post them all, but if you like one send it to us and we shall included it here. 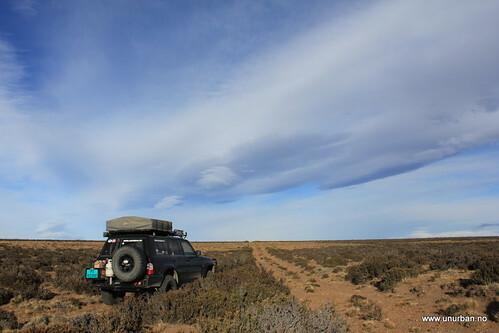 Landcruising Adventure: A Dutch couple Marijke and Coen have been driving their ’84 Diesel Landcruiser since 2003… they are really doing it the right way. UnURBAN is a Norwegian couple, Malin and Espen driving a 2004 Nissan Patrol. In their own words: “unURBAN is a crew of two having time off and doing fun things. Part one is a drive across North AMerica from north to south, part two is driving South America from north to south and the next parts are not yet decided.” We like them, they sound just like us!! !